Our interview with Alexander James Interiors we ask the questions clients want to know. 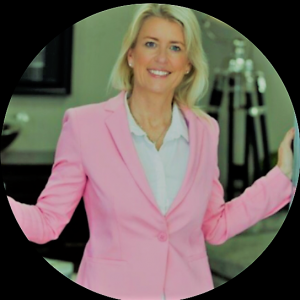 As part of our interview with series we interviewed Julie Clifford Client Liaison Manager of Alexander James Interiors to ask her the questions we all want to ask about using an interior designer. 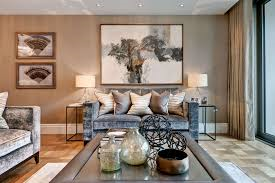 A J I was set up 23 years ago by Robert Walker and offers an excellent range of services from making curtains for one room to complete fit out of multi-million pound homes and yachts. • What if you have no idea about what you are after? • What happens if you have a very clear idea about what you want? • Who is your typical client? • Where do most of your clients come from? • Do we need a clear budget before calling you? • What are the most exotic locations you have worked in? • What are current trends? • How do you match the right designer with each client? • Do you organise everything from furniture to window dressing, AV etc? Well this is one of those how long is a piece of string questions it so depends on what is required, design, furniture, AV flooring etc. AJI offer a free no obligation visit to your home or you could meet them at their showrooms in Tywford to talk through your thoughts and plans. Once you have come to a decision a deposit of £500 is required for the first room and £250 for subsequent rooms – which will be deducted off the final bill. Again the answer to this question depends on what is needed, one room refurbish or whole house. On average there is a turnaround period of 4-6 weeks. However there are already prepared furniture ranges that include every detail and these can be installed in 3-4 weeks. What if you come with no idea of a scheme? This is not an issue! On seeing first-hand their showroom and the amazing selection of wallpaper books, curtain material books, paint samples, flooring options you will not be short of inspiration. Also they have many samples of previous schemes to help you decide. What happens if you are very clear what you want? This is a positive with AJI as a clear remit is always good to work with and helps speed up the process for the client. There really is no typical client. AJI have a team that deal with private clients on a 1 – 2 – 1 basis and a team who deal with commercial projects from hotels, boats, housing developments etc. Private clients range from individuals who are looking for a one room refurb to a complete fit-out of a new home and lots in-between. Word of mouth, client referrals, developers, Estate Agents, Buyers Agents and many more. Do you need a clear budget before calling you? No we take as much detail as we can for the brief and then we work through the plan and discuss budget throughout the process. What are the most exotic locations you have worked in? South of France and Ibiza. We have current trend boards on display to discuss with clients, large green leaves, and accents of pink are coming through at the moment. How do you match the right designer with each client? 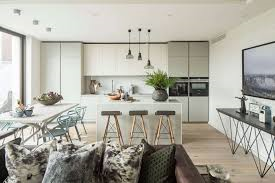 We have a team of highly experienced designers and interior architects and years of experience with different client requirements so we always manage to marry the client and designer very well. Do you organise everything from furniture to window dressing, AV etc? Yes when have a client with one or multiple rooms we have all of the items delivered to our warehouse and have one delivery with our designers on hand to manage installation in one seamless process. Seeing the clients happy once the project is completed and see the hard work was worth it in the end! Click here for our interview with Solicitors (Why does it take so long to exchange and complete once we have found the house of our dreams)?